The pictures below shows F/O Lukies and crew. 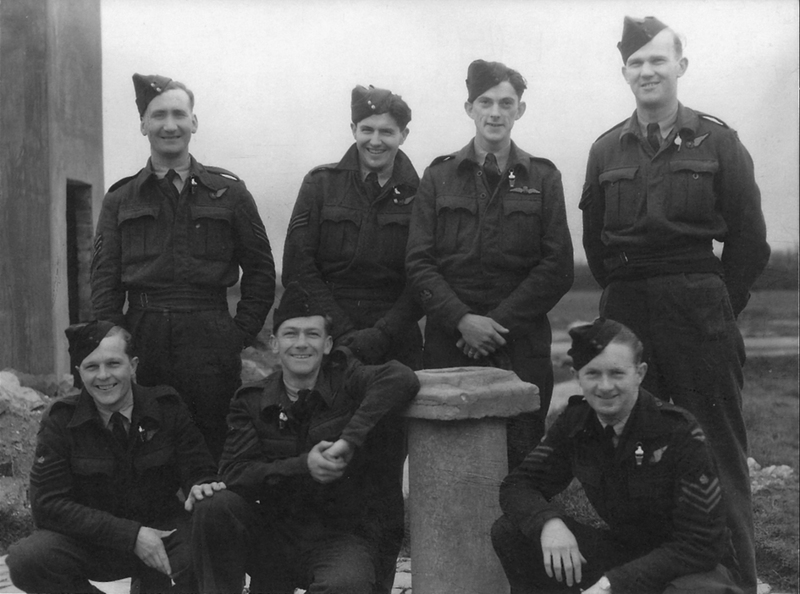 The Lukies crew transferred in to 550 Sqdn on 5th February 1945. 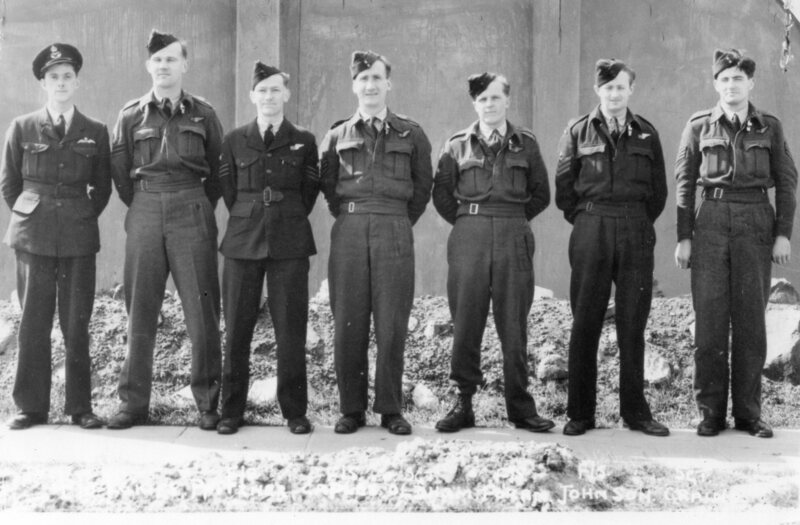 The crew then fly their first op with 550 Sqdn on 20th February 1945, but P/O Lukies is listed flying as "2nd pilot", with F/O Edlund listed as the pilot. On 21st February the Lukies crew is out again, this time just the standard seven air-crew as listed above on transfer in to 550 Sqdn. Also flying that op is the F/O Edlund crew (on the same page of the ORB). This information, combined with that from the family of Sgt Craine that he had joined up in October 1942 would appear to indicate that the Lukies crew was an experienced crew with at least our tour already under their belts when they transferred in to 550 Sqdn.